The Foundation licence is your gateway to amateur radio.The course and exam that leads to the licence provides you with an exciting introduction to the hobby while requiring an acceptable minimum level of skill and experience. The Foundation courses take place locally in a friendly and informal environment and are conducted by experienced radio amateurs, To contact Meirion ARS about taking your Foundation Licence click HERE. 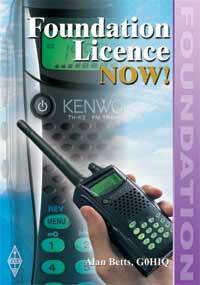 You may then log on to the Ofcom licensing system to apply for your licence. Please make sure that you have your candidate number to hand, because you will need this to complete the process. Visit the Ofcom website to find out more about applying for an amateur radio licence.